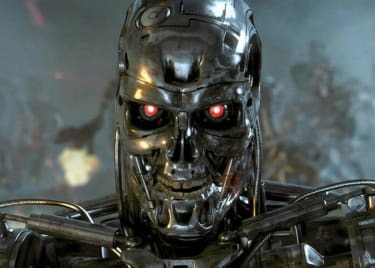 The first footage from TERMINATOR: DARK FATE blew the doors off CinemaCon 2019 in Las Vegas. 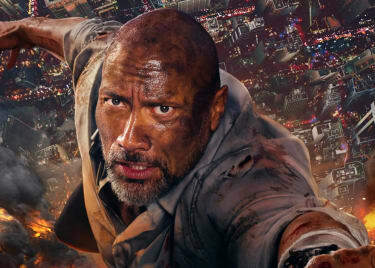 Even better, the presentation from Paramount Pictures was a chance for director Tim Miller — whose work you know from DEADPOOL — to bring out the film’s cast, including returning stars Arnold Schwarzenegger and, at long last, Linda Hamilton. “To say this was a labor of love for me is an enormous [bleeping] understatement,” Miller said. The director got choked up on stage talking about making the movie, saying, “I get very emotional sometimes; I’m sorry,” as he welled up. It was an endearing sight, especially given that Miller is a big, muscular guy whose profanity-peppered comments make him sound like his DEADPOOL star. Here’s what Miller, Schwarzenegger and Hamilton had to say about TERMINATOR: DARK FATE and about the franchise that changed their lives. Let’s allow the director to set the scene. 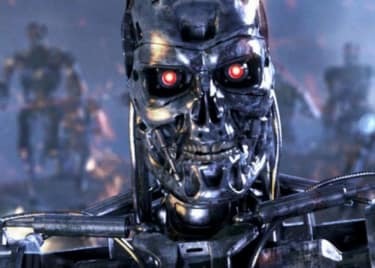 The film is “a direct sequel — and I can’t tell you how important that is — to the movies that Jim [Cameron] directed.” Which means DARK FATE only connects to TERMINATOR and TERMINATOR 2: JUDGMENT DAY. All of the other films are wiped out by this story. That new cast includes Mackenzie Davis (above), playing a woman — we think she’s human anyway — sent back from the future on a mysterious mission. She’s technologically augmented and incredibly deadly. When Arnold Schwarzenegger took the stage, he joked about his role — “this is really not to present the movie; it’s a fundraiser for my next political race” — before getting down to the business of hyping up the new movie. Over the years, we’ve seen Arnold Schwarzenegger pepper speeches and public comments with quotes from his movies. When it came to reflecting on his first experience with this series, he cut right to the chase. 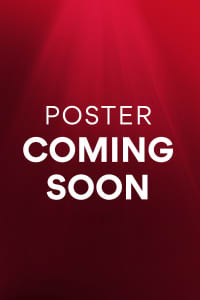 TERMINATOR: DARK FATE opens on November 1.